CRAZY COOL GROOVY!!! 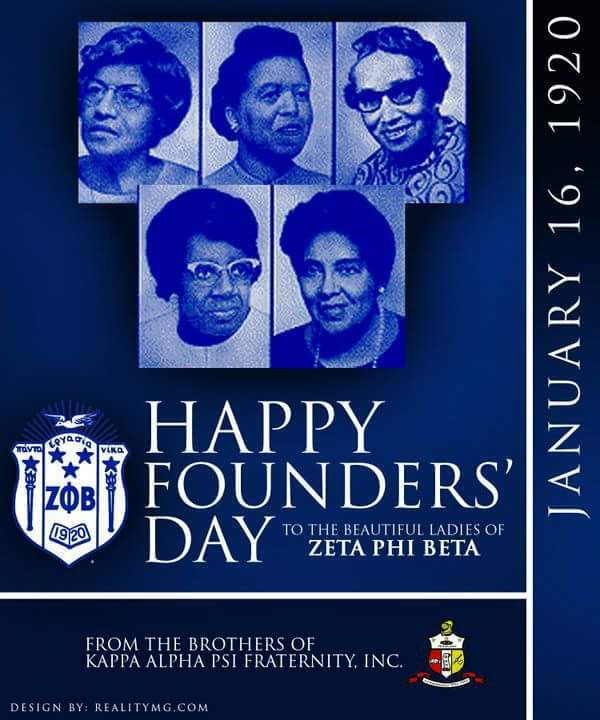 : HAPPY #J16 ZETA PHI BETA 97TH FOUNDERS' DAY!!! 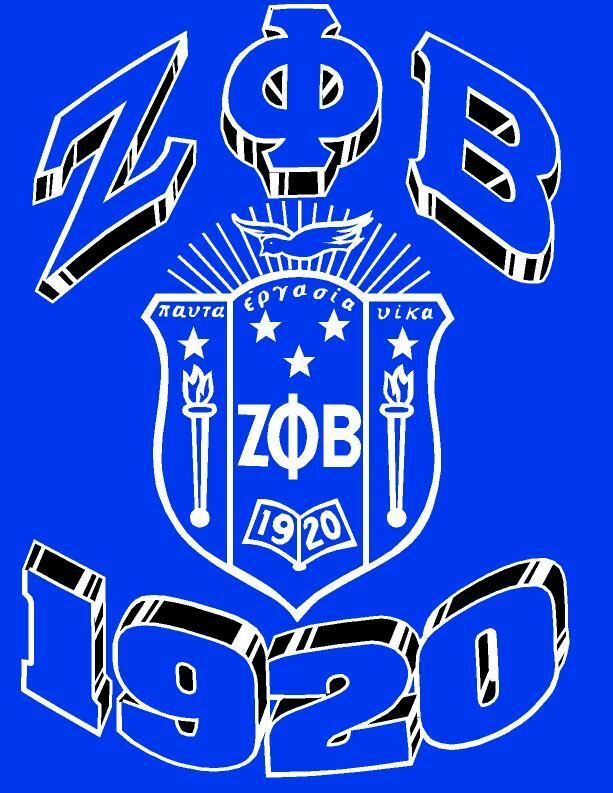 Yours Truly CCG and ALL of The GENTLEMEN In KRIMSON And KREAM Of KAPPA ALPHA PSI FRATERNITY, Inc. would like to wish KRAZY KOOL GROOVY KONGRATULATIONS and HAPPY #J16 ZETA PHI BETA 97TH FOUNDERS' DAY MONDAY to The LADIES In ROYAL BLUE And WHITE Of ZETA PHI BETA SORORITY, Inc.!!! ZETA PHI BETA SORORITY, Inc. was founded JANUARY 16, 1920, on the beautiful campus of HOWARD UNIVERSITY in our nation's capital of WASHINGTON, D.C. Due to their founding date of January 16, many members affectionately refer to that date as #J16. ZETA PHI BETA was founded by five coeds who envisioned a sorority which would directly affect positive change, chart a course of action for the 1920s and beyond, raise consciousness of their people, encourage the highest standards of scholastic achievement, and foster a greater sense of unity among its members. These women believed that sorority elitism and socializing overshadowed the real mission for progressive organizations and failed to address fully the societal mores, ills, prejudices, and poverty affecting humanity in general and the black community in particular. Zeta has continued its steady climb into the national spotlight with programs designed to demonstrate concern for the human condition both nationally and internationally. The organization has been innovative in that it has chronicled a number of firsts. It was the first National Pan-Hellenic Council organization to centralize its operations in a national headquarters, first to charter a chapter in Africa, first to form auxiliary groups, and first to be constitutionally bound to a fraternity, Phi Beta Sigma Fraternity, Inc. The sorority takes pride in its continued participation in transforming communities through volunteer services from members and its auxiliaries. Zeta Phi Beta has chartered hundreds of chapters worldwide and has a membership of 100,000+. HAPPY #J16 ZETA PHI BETA 97TH FOUNDERS' DAY MONDAY!! !